"It's bizarre to be so nervous about seeing the person who knows me best, but the last year hasn't been so kind to Lionel and me." Note: My copy of 'Little & Lion' is an ARC (advanced reading copy); I won the ARC from NOVL's newsletter! But, anyway- what I'm stating here (quotes, minor wording arrangements) may not be in the published copy. Thank you! When Suzette comes home to Los Angeles from her boarding school in New England, she isn't sure if she'll ever want to go back. L.A. is where her friends and family are (along with her crush, Emil). And her stepbrother, Lionel, who has been diagnosed with bipolar disorder, needs her emotional support. 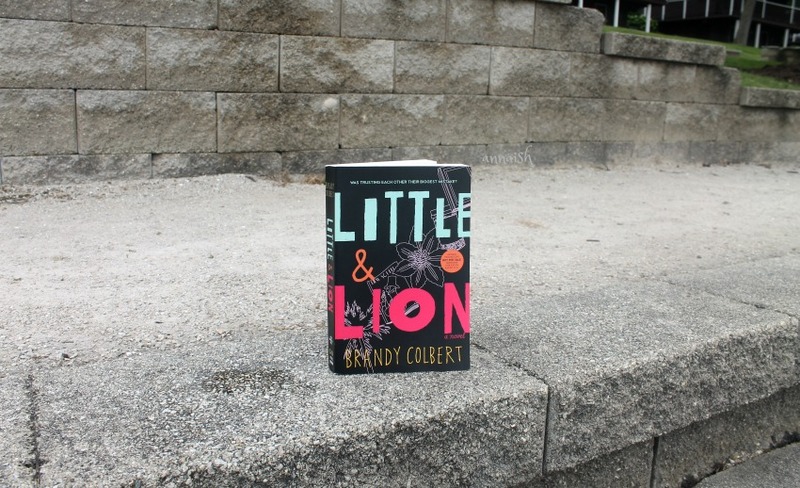 Little & Lion looks small but it deals with many big topics. *sigh* I guess it's time for me to admit that this book isn't my thing; and I'm a little disappointed. The hype is really big (it's still growing!) for this book but I just don't get it. Sure, I shouldn't have expected much with the small synopsis. But I got that sibling relationship, mental illness representation, and LGBT+ & diverse characters. Alas, I still struggled with Little & Lion. Little & Lion follows Los Angeles teenager Suzette. She's back home for the summer but she doesn't feel 'at home'. Big things happened when her parents sent her to boarding school; and things are changing. Her brother Lionel seems okay... but for how long until he snaps? And why does she have feelings for her old childhood friend? Or her boarding school roommate? Or that new girl she saw at that party? As you can see, Suzette has questions and she wants answers but does she find them? Not really. See, my main problem with Suzette is that she wanted solutions and progress but she never really achieved her 'problems'. I was frustrated because her questions just went around and around, like one big loop. "Do I really like that new girl?" or "Is Lionel okay?" Like?? I don't know, please tell me Suzette! May I also add that there was a (totally not necessary!!) love triangle. The triangle contained Suzette, Lionel and the new girl. No thank you. Anyway, I couldn't connect with Suzette. She was sweet, awkward and all; but she was so borderline naive that I almost screamed. The secondary characters were alright, a little developed but somewhat stereotypical. Sadly, I also didn't connect with them. I first struggled with the characters; then the plot. 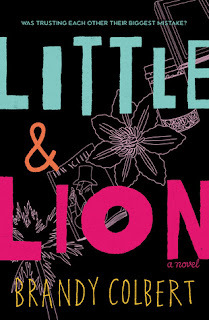 Halfway through Little & Lion I realized I was bored. That feeling didn't stop until the end of the book. #awkward I mean, the plot was dealing with big topics (sexuality, relationships, mental illness etc) and they balanced well! But I couldn't care less because I didn't care about the characters. Their problems were dragging the story because they weren't dealing with them. Again, this was very frustrating. I did like the writing! It flowed alright but I really enjoyed the way Brandy Colbert worded the details. Also, the beginning of Little & Lion was strong but when the middle hit ... it wasn't my jam. I only have one word for Little & Lion: meh. I'm still disappointed but I get why others enjoyed it. I just couldn't connect with the big details. 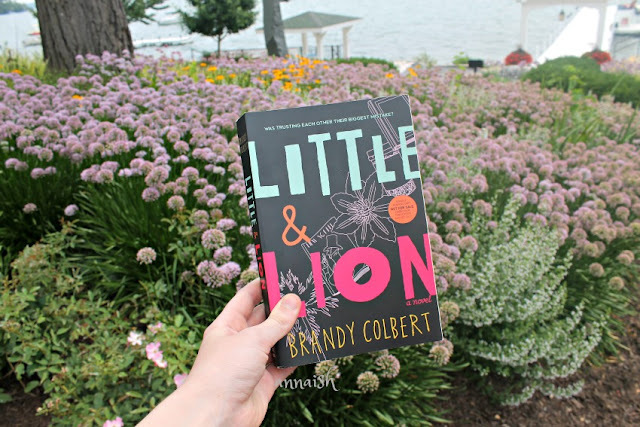 If you're looking for a little YA book with big topics (along with LGBT+ & diverse characters, flower shops and a love triangle) then Little & Lion may be worth your time! This does have a promising premise-- I do think that it's important for the characters to end up actually having a problem to deal with (like in the sense of being, "Oh no, maybe I do like them") instead of just lightly waving over the door to conflict. >.< I'll see try to read this, though! Oh man, you know how much I dislike love triangles. And like you pointed out, they aren't really ever necessary. This one sounds kind of...disappointing. I like the sound of LGBTQ+ characters and mental illness representation, but the characters sound so frustrating. Oh well, awesome review, Anna! Yeah- you know me pretty well. Exactly. :,) Thank you! I'm not the biggest fan of love triangles, because like you said they're rarely necessary. I do really like the premise, and the fact that there are LGBTQA+ representation and mental illness representation. This book is on my tbr, though it's not extremely high. Thanks for an awesome and in-depth review. I love the pictures that you added as well. I just stumbled upon your blog, and I'm greatly enjoying its content. 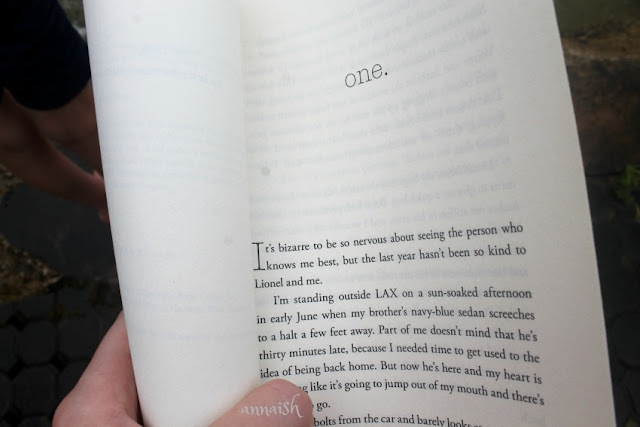 I'm a teen who's new to blogging and book reviewing, and I was wondering if you had any tips for newbie bloggers and book reviewers.